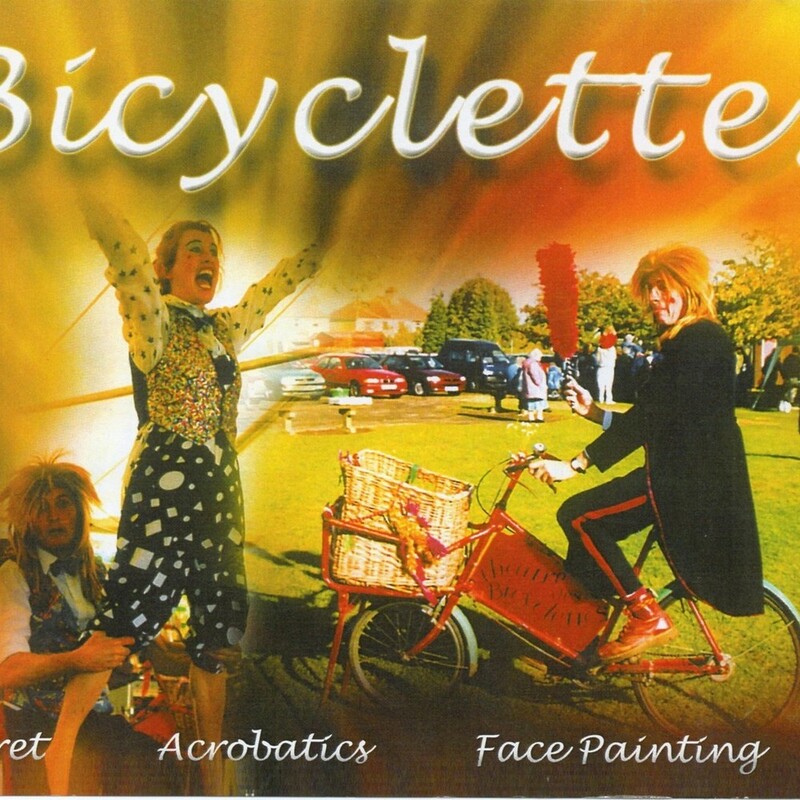 BICYCLETTES are available for open-air and indoor shows, cabaret, parties, special events, mix & mingle. 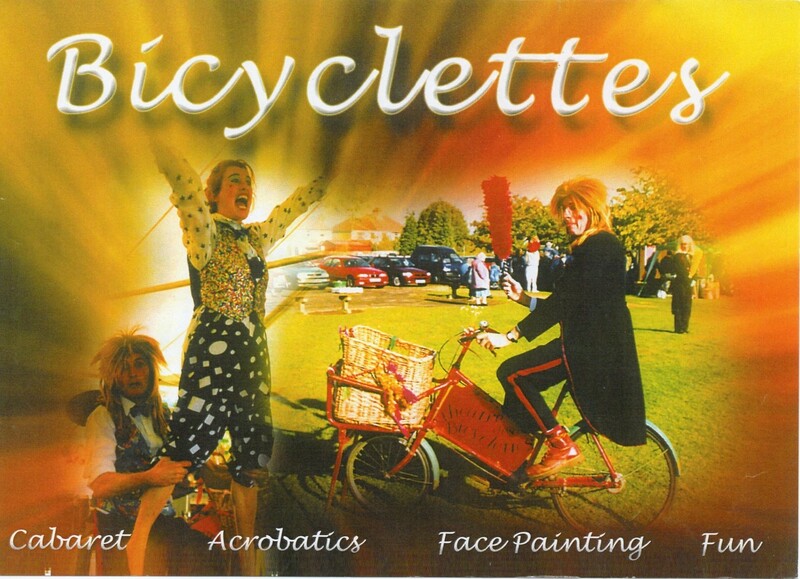 fireshows, circus workshops. Fun for all the family with Robbo the Clown aided and abetted by the formidable Betty.